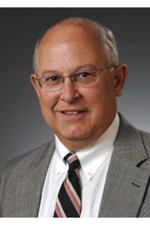 Michael Putich, CPA of Robinson Grant & Co., P.A. recently attended the National Association of State Boards of Accounting (NASBA) annual meeting held in New York City. Michael is a board member of the SC Board of Accountancy. Haig Point Community is proud to announce the hire of culinary expert, James Ragland as executive chef and food and beverage director. 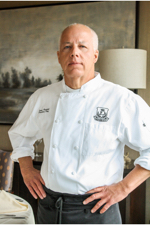 Ragland brings years of experience to the Haig Point community, as the previous executive chef at Dothan Country Club in Alabama for more than 10 years and previously as the executive chef at country clubs in Alabama and Kentucky. 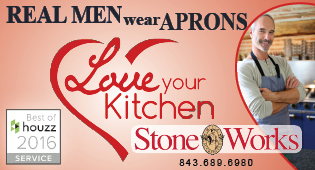 He is an active member of the Culinary Institute of America and holds a degree from Oklahoma State University. 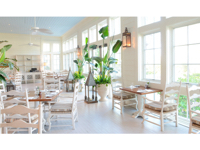 Montage Palmetto Bluff has announced the opening of Octagon Porch, a new dining experience for guests and locals to enjoy classic, Southern dishes. A relaxed and inviting restaurant, Octagon Porch is located in the inn, and offers breakfast, lunch, and dinner. 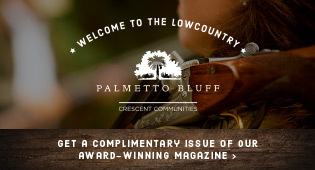 For more information, please visit montagehotels.com/palmettobluff/dining/octagon porch. The Coastal Discovery Museum will host “Lowcountry Critters with Joe Maffo” every Wednesday and Friday in June, July and August from 10 a.m. until 2 p.m. 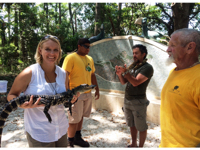 This casual “meet and greet” will help participants learn more about the alligators, snakes, turtles and other critters that share Hilton Head Island with us. Cost is $10 per adult, $5 per child (12 and under), free for children under five. 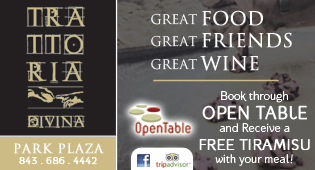 No reservations; just drop in and see! The Museum is located at 70 Honey Horn Drive on Hilton Head Island. 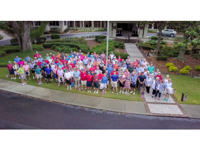 Sea Pines Country Club, the lone private club within Sea Pines featuring golf, tennis, multiple pools and fitness, hosted the eighth annual Tee It Up for the Troops charity golf tournament on Friday, May 18. The tournament benefits Tee It Up For the Troops, a 501 © (3) charitable organization, which passes along 85 percent of all contributions to fund initiatives aiding U.S. soldiers who have been wounded, suffer from PTSD and suicide risk, and of course, the families of those who have paid the ultimate price for our freedom. 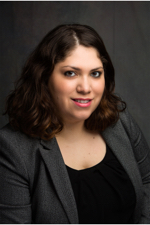 BB&T-Carswell Insurance Services has named Claudia Williams to their personal lines staff as a personal lines account executive. She will be located in their Westbury location at 7 Arley Way, Suite 300, Bluffton, SC. 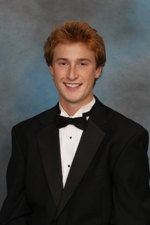 Williams brings six years of experience as an insurance professional. 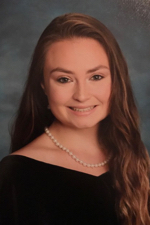 Oak Advisors, LLC has awarded Aidan Sanz and Kendall Ocello the 2018 Oak Advisors Scholarship of Excellence. The annual scholarship is awarded to local qualified high school senior planning to attend an accredited college or university and major in business or economics. Application is made through the Community Foundation of the Lowcounty. National Hospital Week, the nation’s largest healthcare event, took place May 6-12, celebrating the history, technology, innovation and dedicated individuals in the healthcare industry. Coinciding was National Nurses Week, which aims to raise awareness of the important role nurses play in society. 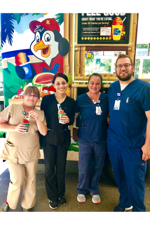 Hilton Head Regional Healthcare celebrated by hosting events at Hilton Head Hospital and Coastal Carolina Hospital throughout the week. 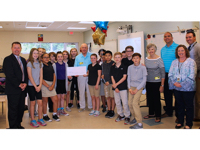 Faculty members from 12 different schools across Beaufort County were surprised with balloons and oversized checks given by board members, donors and volunteers from the Foundation for Educational Excellence. Surrounded by their enthusiastic students, these teachers were the recipients of the Foundation’s Innovative Teacher Grants for spring 2018. The 17 grants awarded ranged from $145 to $4,000 and totaled more than $22,000. These grants will impact students district-wide in classes ranging from early childhood centers through high school. 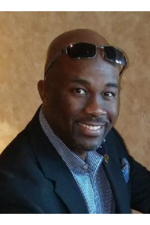 Tony “Coach” Barkley, president and founder of The B4 Success Company, LLC, is proud to announce his first book, released April 23, The 6 Laws of Success—Use Them to Navigate towards Your Purpose, Priority, Passion, Peace & Prosperity! Chydonna Thurston is pleased to announce the recent opening of Nella’s Caribbean Kitchen, a small family-owned and operated restaurant, serving authentic Jamaican cuisine, located at 840 William Hilton Parkway, #2. 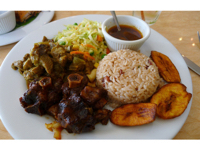 They pride themselves on serving “the most scrumptious Jamaican dishes on this side of the waters,” based on recipes passed down from generation to generation. 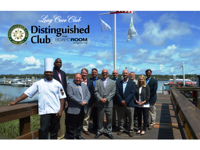 Open for lunch and dinner Monday-Saturday, noon-9 p.m.
Long Cove Club has been awarded the prestigious Distinguished Club award, as determined by the annual Distinguished Clubs award program conducted by BoardRoom magazine, one of the most respected trade publications serving private clubs. The entirely merit-based Distinguished Clubs award program uses a club-specific rating system that recognizes the club, its management, and its staff based on a proprietary criteria and evaluation process that distills and measures a club’s member experience. 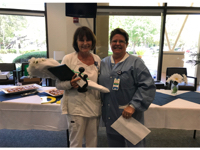 Hilton Head Hospital is proud to announce Karen Basirico as the hospital’s first 2018 Daisy Award for Extraordinary Nurses recipient. Basirico began her nursing career at Hilton Head Hospital in January 1992. She currently works as a clinical lead nurse for same day surgery. 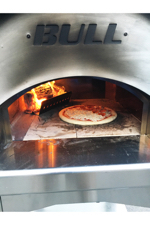 Summer Breeze Outdoor Pizza Oven Giveaway! Go to sb-outdoor.com or come to the showroom to enter and win a FREE large wood-fired pizza oven! Drawing will take place on Friday, June 29. Includes free initial consultation and conceptual design. 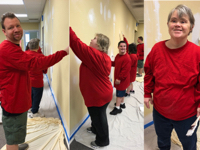 Programs for Exceptional People (PEP) has sold their building at 10 Oak Park Dr. on Hilton Head Island and purchased 39 Sheridan Park Circle in Bluffton. Habitat for Humanity is helping PEP prepare their new building, slated to open later this summer. Members and staff are helping, too. The Coastal Discovery Museum will introduce a new program starting June 8 from 1-2 p.m. What lives under the sea? Take a closer look at some of the smaller marine creatures. 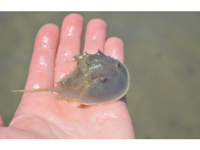 Find out what lived in those shells you find on the beach; feed a horseshoe crab and watch it chew with its legs; help a hermit crab find a new home; and much more! This family friendly indoor experience is also a nice escape from the afternoon heat or rain! 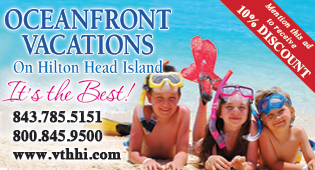 Reservations are required by calling (843) 689-6767 ext. 223. Cinemark Holdings, Inc., a leader in the motion picture exhibition industry, announced that it recently completed the remodel of its Cinemark Bluffton theatre. 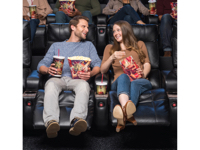 All seats in all auditoriums were upgraded to luxury lounger recliners—electric-powered, plush, oversize lounge chairs with footrests and cup holders. The Spice and Tea Exchange made a sweeping entrance into Coligny Plaza at their grand opening and ribbon cutting ceremony April 20. With everything from pre-made spice packets, recipes and pressed tea, The Spice and Tea Exchange offers something for everyone! Hours are Monday-Thursday 10 a.m.-7 p.m., Friday-Saturday 10 a.m.-8 p.m., and Sunday 11 a.m.-6 p.m. For more information, visit spiceandtea.com/hiltonheadisland. Two children will now get the smile of their dreams for free, thanks to Dr. Jim Maginnis and the Maginnis Orthodontics “Share a Smile” campaign! 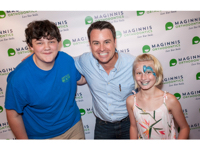 On Saturday May 19, during the Open House for the new Maginnis Orthodontics Bluffton location, Maginnis announced that nine-year-old Peityn P. would be the child receiving the set of free braces as the winner of the “Share a Smile” campaign. But then, Maginnis surprised the crowd by telling everyone he would be giving a second set of braces away. This time, the lucky winner was 14- year-old Triston M. Both children’s names were drawn at random and were equally deserving of treatment. The “Share a Smile” campaign was designed to give deserving children a chance to love their smile. There were nearly 100 nominations. During the event, the team also raised money for the local Backpack Buddies charitable organization. Backpack Buddies feeds hungry children in Bluffton and the surrounding areas. The Cottage Café, Bakery and Tea Room has launched an exciting new menu. 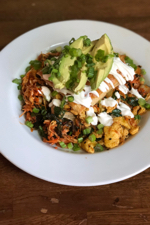 The restaurant, located in a cozy restored 1868 cottage in the heart of Bluffton, has added a number of innovative items to its popular breakfast, lunch and brunch menus, with many new dishes featuring its award-winning Kimchi, which was recently the winner of two prestigious 2018 national Good Food Awards. In honor of the launch, The Cottage donated proceeds of all lunch net food sales from the first week of the new menu to the local not-for-profit organization Bluffton Self Help, Inc., which provides free food, clothing and emergency financial assistance to Bluffton neighbors in need. Alexis Sargo is pleased to announce her new business in historic Bluffton. 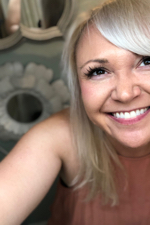 The Wink Lash Room, located at 3A Lawton Street, specializes in individual eyelash extensions, volume eyelash extensions, lash and brow tinting, facial and body waxing. The Wink Lash Room also offers lash, brow and body products. 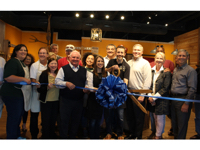 Wink Lash Room celebrated with an official ribbon cutting ceremony and grand opening on May 24.